“Kamares by Spondi”, Eagles Palace. The Eagles Palace hotel, located in Halkidiki, is welcoming its guests to its collection of restaurants for summer 2018. 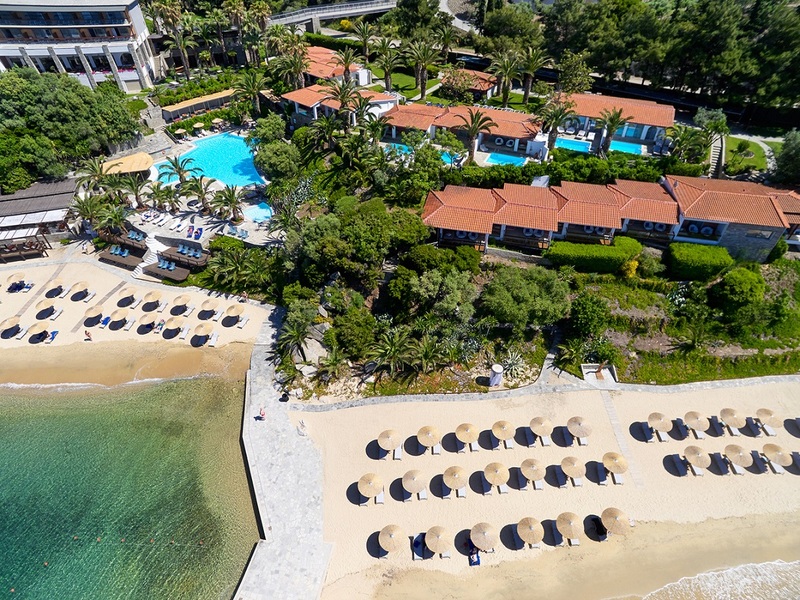 A family-run resort, located near the beach in the area of Ouranoupoli, the Eagles Palace features a superior collection of luxury suites and villas. 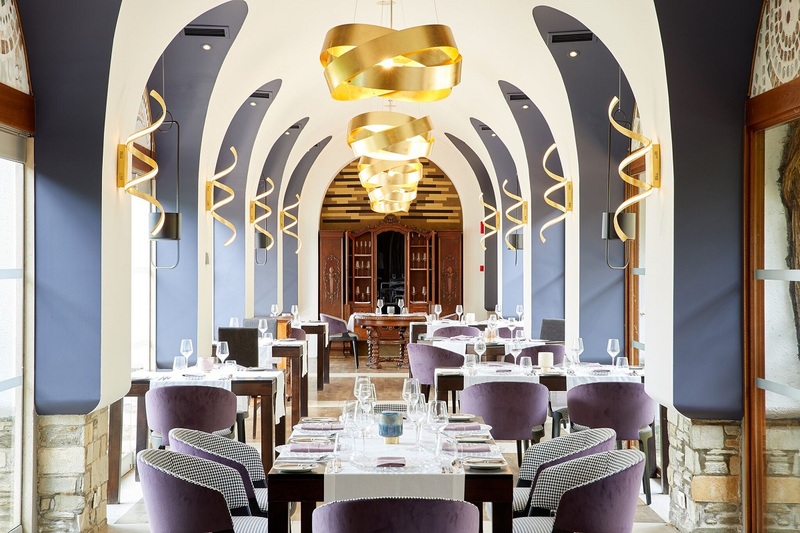 Under the supervision of award-winning chef Apostolos Trastelis, the resort’s restaurants offer unique flavors in a stunning location. 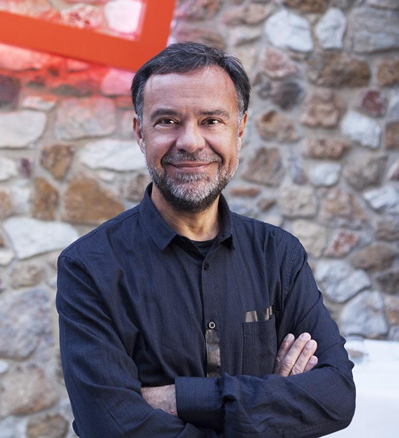 Trastelis is the owner of Michelin-starred restaurant, Spondi, and has transformed the gourmet restaurant of Eagles Palace to “Kamares by Spondi”. The menu is curated by award-winning chef Arnaud Bignon and blends the best ingredients of Greek sea and land with French techniques. 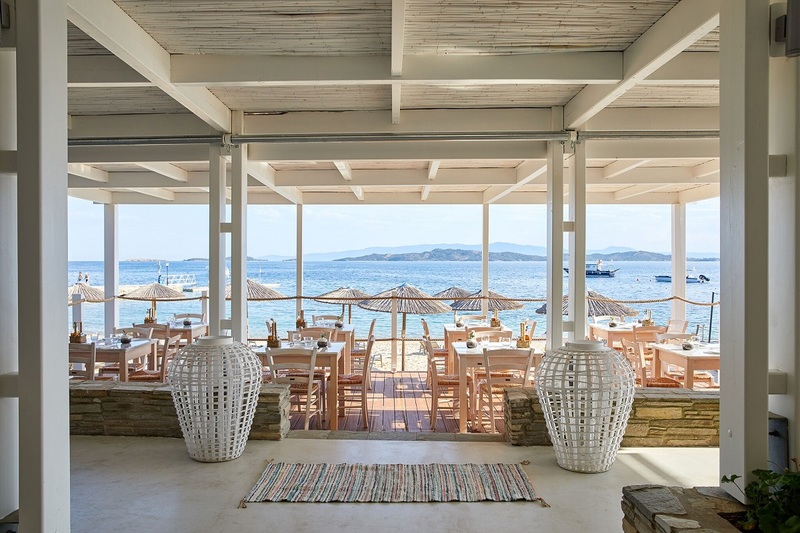 The resort’s Armyra restaurant, located right on the beach, in the afternoon serves authentic Greek “meze” – a selection of small dishes served with alcoholic drinks, while in the evening offers fresh fish cooked on the BBQ, right on the sand. Meanwhile, guests of the Vinum restaurant, located in the hotel’s impressive wine cellar, have the opportunity to accompany their wine with the best meat cuts cooked in the restaurants “Josper Grill”. The hotel’s central restaurant, Melathron, also bears the seal of chef Apostolos Trastellis and offers impressive rich buffets in the morning and in the evening. 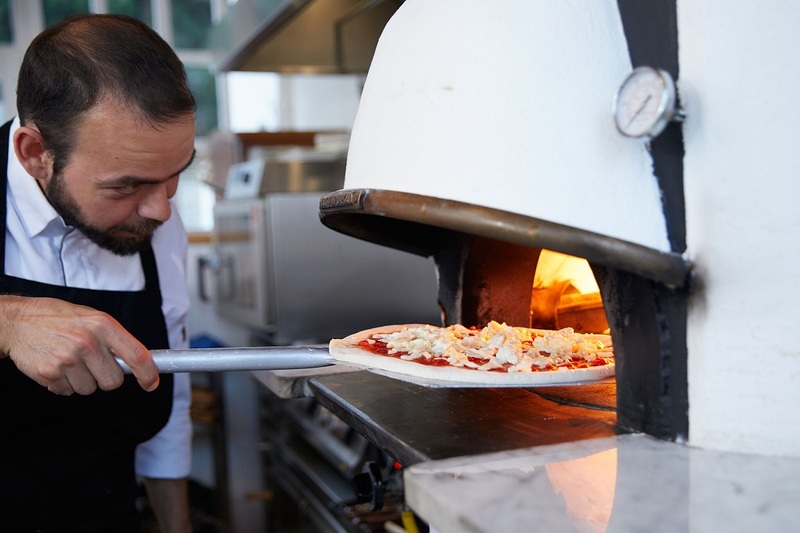 The group’s Eagles Villas has also introduced its guests to the brand new restaurant, Eleonas by Fuga, where authentic Italian recipes are served, prepared by renowned chef Fabrizio Bugliani. Furthermore, the central restaurant, Lofos, offers a rich buffet for breakfast, lunch and dinner.